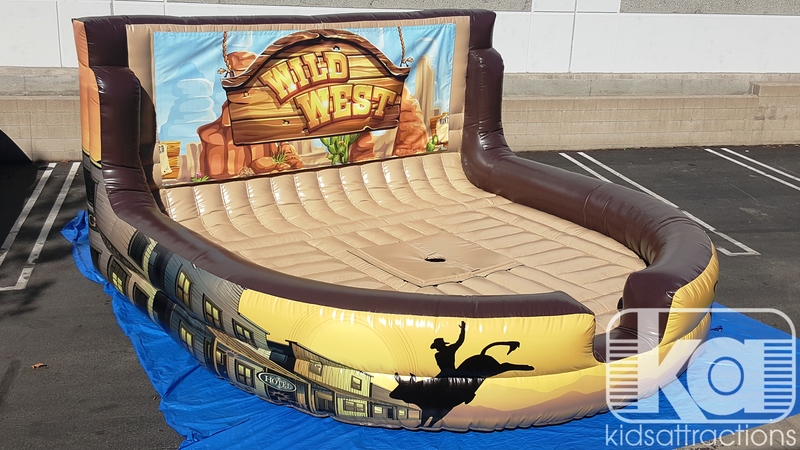 Our patent Pending western themed inflatable Bull Mattress comes with a western themed removable banner on the back wall so you can quickly theme your mechanical bull for clients or seasons in less than 1 minute, something never offered before and only found at Kids Attractions. The sales price includes the US made Inflatable, Printed back wall Banner shown, Foam surround for the center and stakes. The blower is sold separately and we recommend using a B-Air 1.5hp Blower. 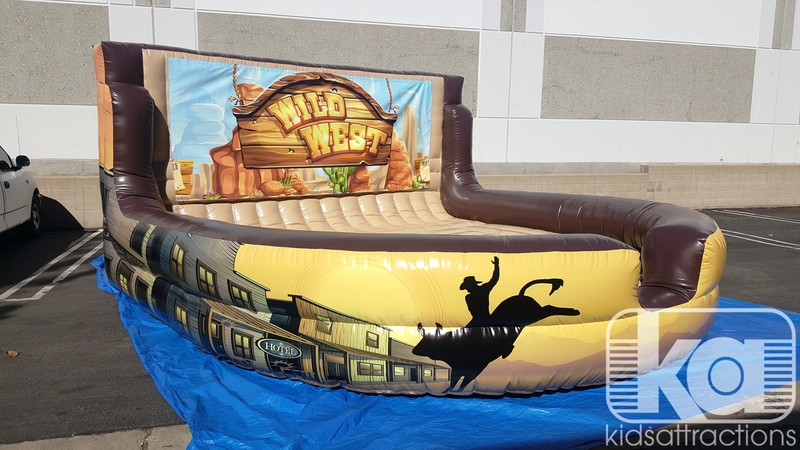 This Western-themed Mechanical Bull Inflatable fits the GS Engineering and Galaxy Mechanical Bulls. Q: this is cost for inflatable only what is the cost bull included is this the only version or size what are the dimensions ?